State Fellow Genevieve Johnson identifies invertebrates from a beam trawl catch. Photo by Alicia Flores. A professional opportunity for soon-to-graduate or recently finished graduate students interested in the science and policy needed to keep our marine resources healthy. 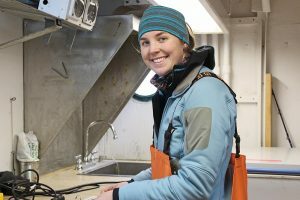 Learn more about the Alaska Sea Grant State Fellowship. For graduate students interested in national policy decisions affecting coastal and ocean resources. Recipients spend a year in the Washington, DC area in an executive or legislative position, working on substantive national policy issues related to aquatic resources. Applications are due each February for fellowships beginning the following February. Learn more about the Knauss Marine Policy Fellowship. In this two-year program, graduate students work with state coastal zone programs to gain on-the-job education and training in coastal resource management and policy. Applications are due in January for fellowships that begin in August. Learn more about the NOAA Coastal Management Fellowship. For PhD students interested in careers related to marine ecosystem and population dynamics, with a focus on modeling and managing systems of living marine resources; OR economics of the conservation and management of living marine resources. Recipients work with a mentor from NOAA Fisheries. Applications should be submitted to Alaska Sea Grant. 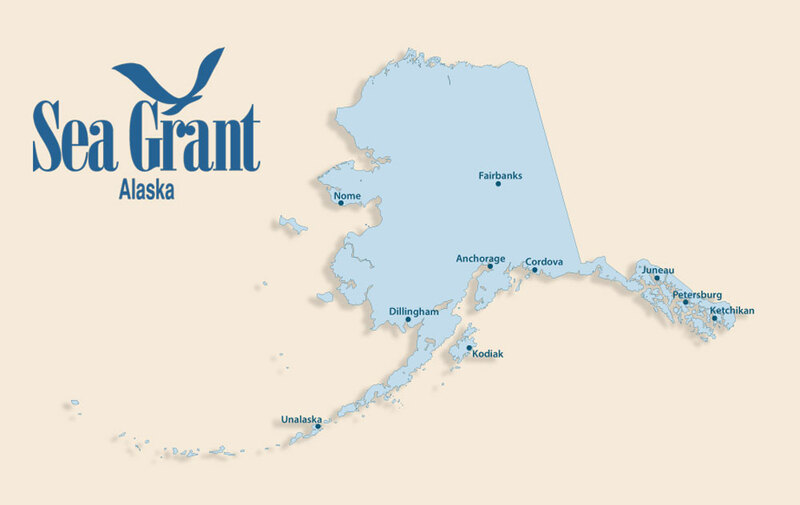 Applicants are strongly encouraged to contact Alaska Sea Grant as early as possible. Applications are due in late January for fellowships that begin in the summer. PhD candidates interested in population and ecosystem dynamics can receive up to 3 years of funding. PhD students in marine resource economics can receive 2 years of funding. Learn more about the NOAA Fisheries Sea Grant Fellowship. This scholarship supports female graduate and undergraduate students pursuing a degree in science and attending the University of Alaska Fairbanks. Learn more about the Doyle Scholarship. The Alaska Marine Science Symposium, Alaska’s premier marine research conference, has brought together scientists, educators, resource managers, students, and interested public for over 20 years to discuss the latest marine research being conducted in Alaska waters. More than 800 people attend this 4-day conference held each January. Alaska Sea Grant sponsors awards for the best graduate student poster presentations at the master’s and PhD levels. Other organizations sponsor awards for for the best oral presentation at the master’s and PhD levels and the best high school and undergraduate student posters.